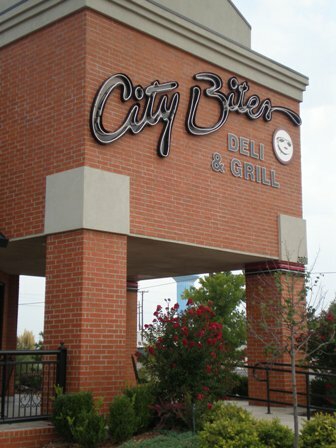 City Bites in Edmond features sandwiches, wraps, baked potatoes, salads and cookies. 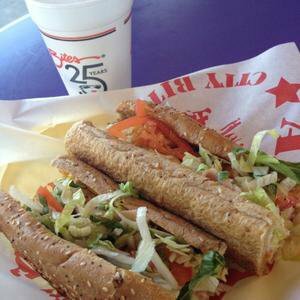 A long-time local favorite, City Bites offers a wealth of delicious meal choices. Sandwiches come in two sizes, either 6-inch or 12-inch, and you can choose from white, wheat, sun-dried tomato, everything, jalapeno cheese and wheat berry bread. 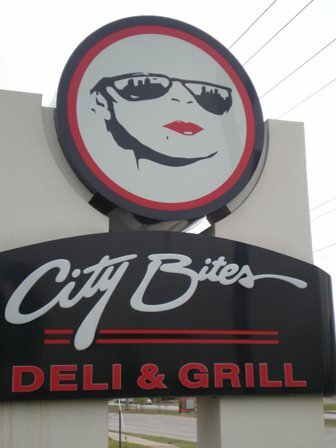 City Bites' city classics sandwiches include your choice of ham, turkey or roast beef and provolone dressed with lettuce, tomatoes, black olives, pickles, cherry peppers, oils, mayo, salt and pepper. Try one of the specialty sandwiches, like the California club, tuna salad, Philadelphia cheesesteak, veggie or mesquite chicken, among many other choices. You can make any of these sandwiches a wrap, with honey wheat, jalapeno cheese and sun-dried tomato wraps to choose from. Located at S Broadway and W 33rd St.